47 billion shots fired, 2.2 billion regenerated health, 19 million lost dog tags, 1.5 billion kills. But Battlefield 3's raging beta wasn't just about those numbers, and a little sly marketing to boot, game developers DICE actually used the experience to tweak the way the game works online. 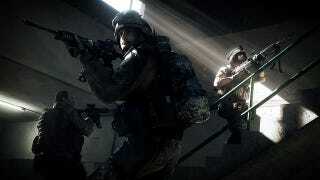 There will be improved squad functionality in the retail game (including but not limited to): the ability to create squads prior to launching into a game, sticking with your squad when joining a game and continuing together through future games (if team balance on the server allows it), inviting friends to a squad, and changing squads once in game. The ability to modify your settings via the deploy screen has been added into the retail game. In the Open Beta, the Kill Cam would sometimes behave erratically. This has been fixed for the launch of the retail game. The netcode is one of the many things that we tested as part of the Open Beta and it was not necessarily reflective of the final retail game. The DICE team appreciates, and has heard, the feedback you've provided and is further optimizing online play.